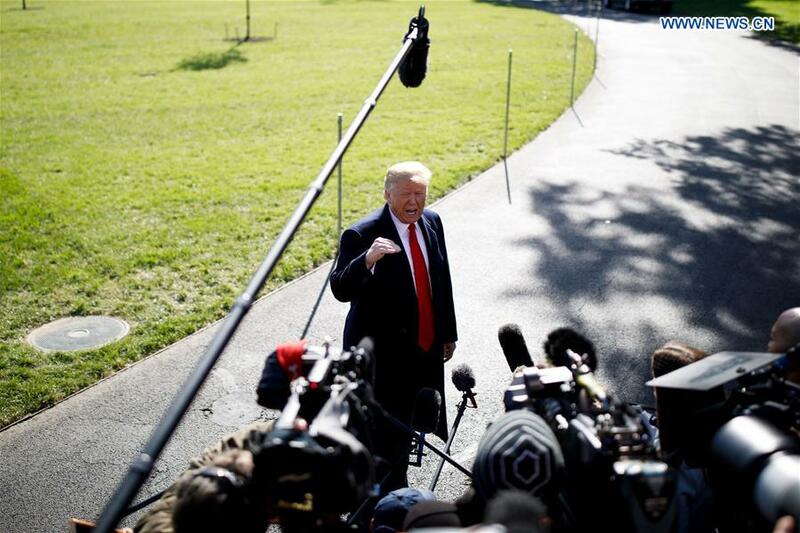 President Donald Trump's ostensible political party, the Republicans, trails far behind in current polls and is supposed to lose the control of the House of Representatives, while perhaps even the Senate in the forthcoming mid-term elections. In an interesting turn of events, Trump last month talked about Chinese interference in the vote. Accusing China of interference in Iowa, a swing state, Trump's surprise attack was carried forward by his VP Mike Pence in a strong speech at a think tank seminar. The "proof" that was produced came in the shape of Chinese lobbying in a newspaper against American protectionist trade policies. Factcheck.org, an independent organization that checks such political rhetoric in the United States, found no evidence to back up the claim. "It's not clear if the president has any evidence of a covert operation by China," wrote the website, adding that nothing had been produced to back the claim China has interfered through an intelligence operation rather than engaging normal lobbying common in America. So, what could this Trump bluster mean? And what does it say in terms of future Sino-American ties? The answer is complicated. The fact that the Trump administration is hyping up Chinese interference can be due to three different reasons; one, that this could be blamed for any Republican losses, two, justifying a further intensification of the trade war, and, three, that it will form the basis for a bipartisan approach on future Sino-American ties. Already, the trade war is morphing into something much more geostrategic, and will continue to do so, regardless of the real desires of either side. This will also be tied to American opposition to Iran. The difference of interests in regard to Iran, between United States on one side and the EU/China/Russia on the other, will surely continue to increase. The European Union is already signaling that there are joint mechanisms taking place that will result in keeping the trade flow intact despite American sanctions. The French foreign ministry has highlighted what is known as the Special Purpose Vehicle, or SPV, which is a mechanism the European Union is trying to create to safeguard the Iran nuclear deal, outlined in September by E.U. Vice President Federica Mogherini, who handles foreign security affairs. The crunch date is in November 4, when American sanctions are due to start against Iran. The result of the midterm elections on the Iran deal would also be significant, as, if the Democrats retake the House and start putting pressure on Trump, Iran could end up taking a backseat. However, the sanctions have already been decided as a Presidential act, and could continue nevertheless. Chinese reaction to sanctions on Iran has been more robust, reflecting its comparative superiority in relative power. Recently, the head of China's Petroleum and Chemical Industry Federation was quoted as saying China needs Iranian crude oil, and regardless of any external circumstances, will have to continue buying it. China and Russia do not face the constraint of U.S. sanctions and have previously continued to do business with Iran, and are more than capable of offsetting Iranian losses; this is in contrast to India and European Union, who are more dependent on U.S. security and trade. China views Iran in terms of strategic balance. It is not dependent on either Russia nor America, so is somewhat capable of charting an independent strategic course, as it faces the prospect of long-term trade problems with United States. Overall, there won't be much change in the geostrategic scenario based on the U.S. midterm polls. The U.S.-China trade war will continue to slowly simmer, although it is unlikely to expand into something massive. There will be a deadlock over Iranian trade, and that would start around November. And finally, the rhetorical animosity would continue to rise, regardless of which party is in the driving seat.